This sweet baby girl has a little smirk that instantly puts a smile on the face of anyone she flashes it at. Boitathelo came to TTL a few weeks ago suffering from chronic malnutrition. Malnutrition is generally classified as either chronic or acute...depending on whether the child has experienced a severe lack of food and essential nutrients over a long period of time, perhaps their whole life, or they are suffering from a temporary lack of food and nutrition. Children suffering from acute malnutrition generally experience what is referred to as "wasting"... or a substantial loss in weight, among other symptoms. Chronic malnutrition generally leads to "stunting"... or an overall lack of growth which results in a child who is very small for their age, as well as significantly underweight. 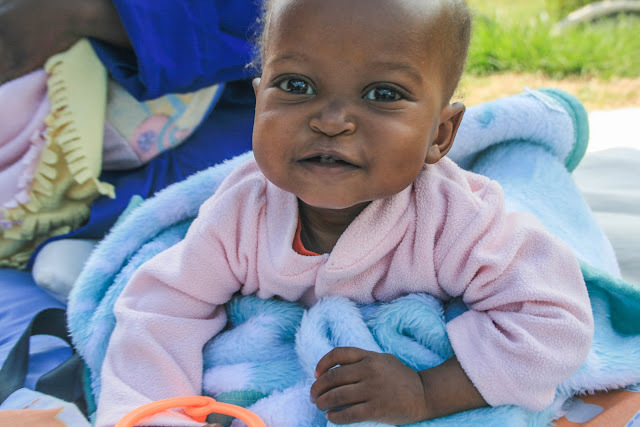 Sweet Boitathelo is fourteen months old...chronic malnutrition has clearly taken its toll. I know it's hard to tell from the picture above, but she is hardly the size of a nine month old. She hasn't started walking or even crawling and can only just sit up on her own. Although she's been with us a few weeks, this little one has been slow to gain any weight. Yesterday, her breathing became extremely distressed...her little stomach rapidly rose and fell with each little breath. She was admitted to the hospital where we hope she'll receive the care she needs to overcome the many obstacles she faces. Through it all, however, that little smirk keeps popping up to let us know there's a lot of fight left in this little one. Renang, in comparison, was suffering from a more acute case of malnutrition when he arrived at the safe-home several months ago. Although very skinny, his overall growth had not suffered...he was within the normal height range for his age. Renang's malnutrition had still taken its toll, however. At seventeen months he wasn't yet walking...likely because his legs hadn't developed enough muscle-mass to master this skill. In just a few weeks and many big meals later, this little man was cruising around the playroom. 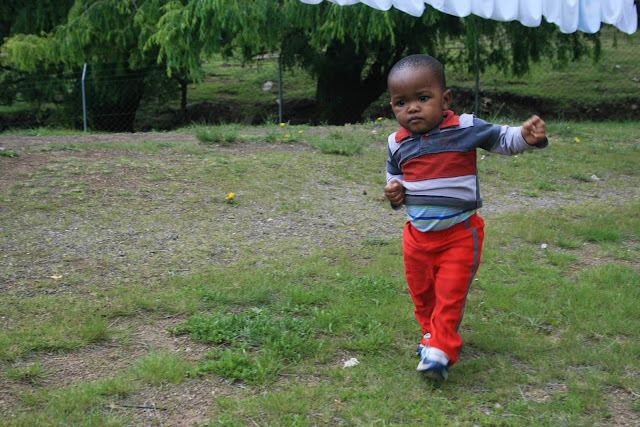 Renang returned home to his grandmother last week, his chubby cheeks and confident gait a sure sign of his recovery. TTL will now serve Renang as an outreach client to continue to monitor his growth and health and ensure that those little legs keep running around.